“That means that this animal has been suffering not for days or weeks but for months or even a year or more,” Blatchley added. Blatchley is the founder and owner of the D’ Bone Collector Museum, a natural history museum in Davao. In the coming days, the museum will post a list of all the items found in the whale’s system, the museum said in a post on its Facebook page. 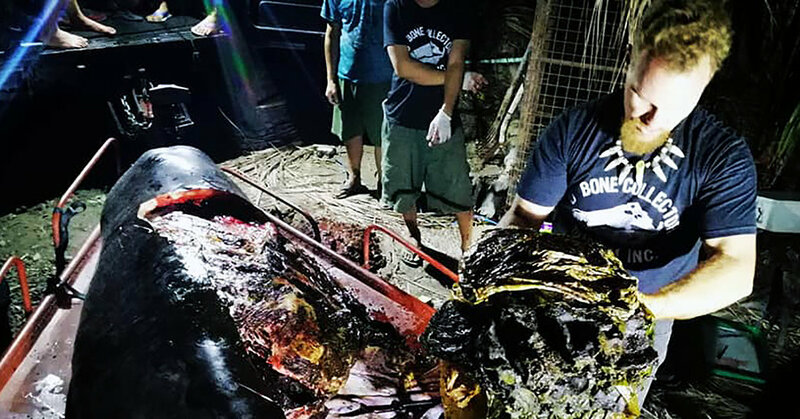 Blatchley said he hoped that the latest incident with the Cuvier’s beaked whale would launch the issue of plastic pollution in the Philippines, and across the globe, to the forefront.